Regular readers and those that know me, know only too well that I love my food! When I moved to Slovenia in 2007 it would be fair to say that I could have been described as a borderline fussy eater. However, living here has immeasurably broadened my horizons and my palate as well as heightening my awareness and desire to eat home-cooked, in-season and locally grown and produced food. Even when I’m pushed for time as I have been of late, I would still rather cook up a soup or stew from scratch than go and buy something pre-prepared. I’m not professing to be a saint when it comes to food though – pizza, chocolate, cakes, biscuits etc. still form a staple part of my ‘diet’ too!! 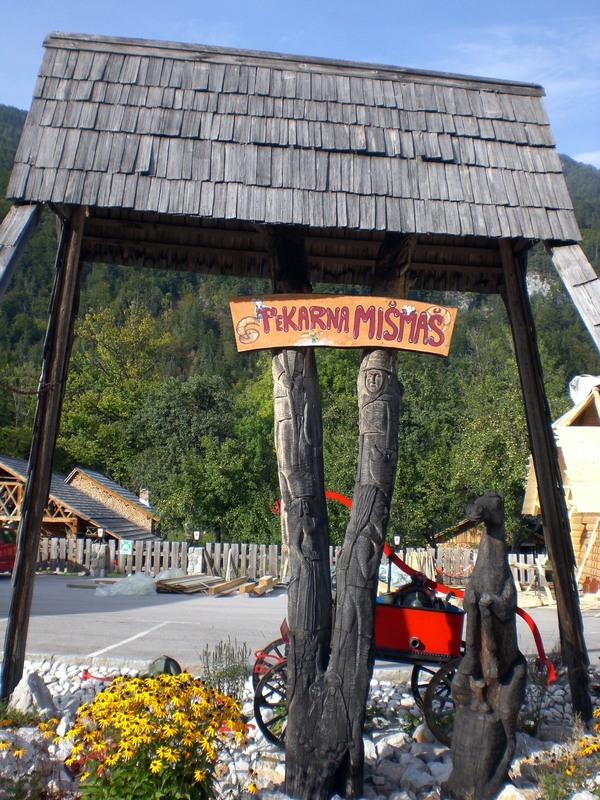 Each region of Slovenia has its own unique and characteristic dishes, as well as having their own festivals and other food and drink related celebrations. 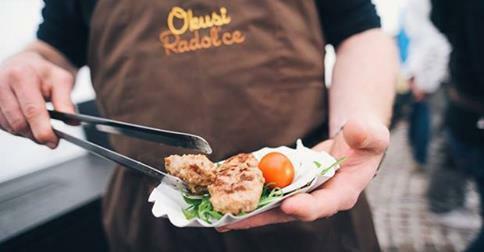 Within the regions there are also local specialities and, in the case of štruklji and krapi, in places even neighbouring villages have their own distinguishable recipes that have been handed down through the generations. Both of these foods also happen to be among my favourite Slovene foods, so, when I saw an advert recently for a workshop to learn to make štruklji and krapi, using traditional recipes from the Upper Sava Valley area of Gorenjska, I knew I wanted to be a part, to learn a little more, and to get to taste some local variations of these dishes so I enrolled myself immediately. Although a little time consuming to prepare, in fact neither of these foods are actually that difficult to make and both make a filling, hearty meal on their own or as a side-dish. 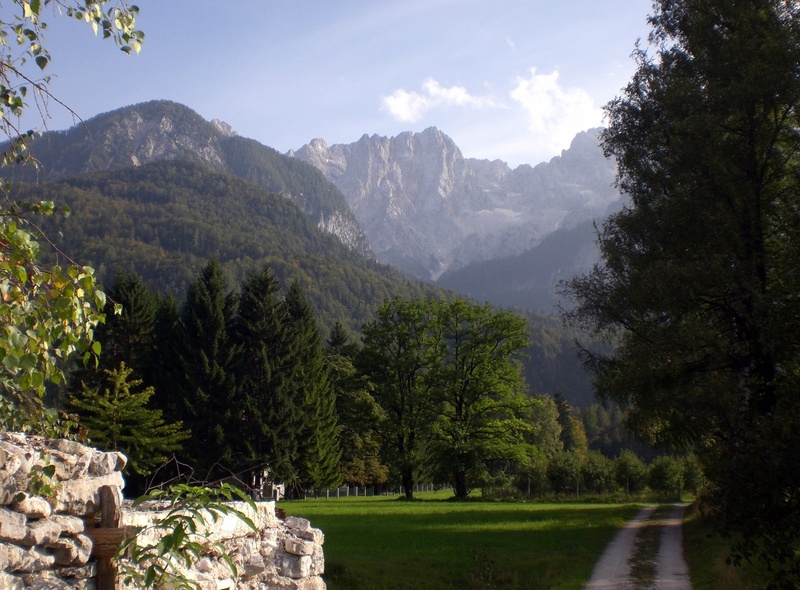 The workshop was held at the Mišmaš bakery (Pekarna Mišmaš) in Gozd Martuljek, near Kranjska Gora, which, as can be seen from the photo below, is worth going to for the views alone. 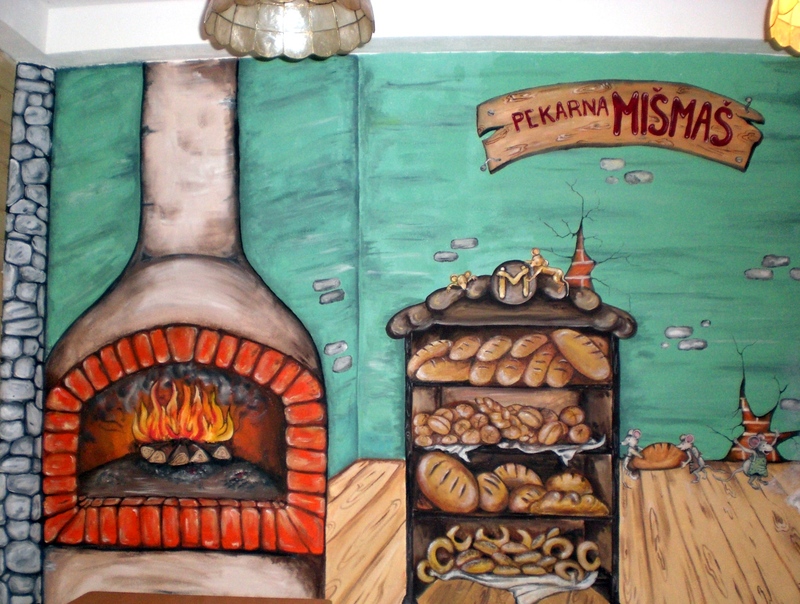 Pekarna Mišmaš is actually based on a children’s fairy tale about a baker who is helped by mice and at the bakery in Gozd Martuljek there are regular workshops held for children whose faces are painted to get them into character and where they learn about how to bake bread and about the story of Pekarna Mišmaš. For adults, in addition to the štruklji and krapi workshops, there are other workshops and some new ones planned for the future featuring other traditional Slovene foods such as potica – a rolled filled cake. The workshop began with an introduction and short discussion about the history and various origins of the flavour combinations used in this part of Slovenia. Next, it was time to don our aprons, each hand-designed with its own Pekarna Mišmaš character, roll up our sleeves, and get stuck in – literally – as the first step was to make the dough. The same basic dough mixture can be used for both štruklji and krapi. We made 2 variations, one using just plain flour, the other a mixture of plain and buckwheat flour. Once the dough had been mixed, kneaded, slapped about a bit (there’s probably a more cookery related term for that but it doesn’t spring to mind – anyway, apparently the ‘slapping’ helps! ), it was left to rest whilst we got on with making the fillings. Krapi are pockets of unleavened dough with various fillings which are then boiled and served with different toppings. 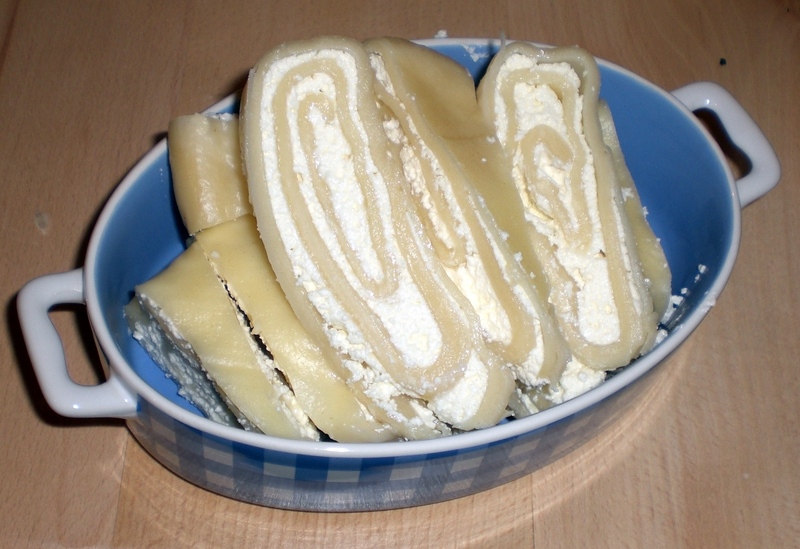 To make štruklji the dough is rolled out very thinly, the filling added, and then the whole thing is rolled up to resemble a swiss roll. 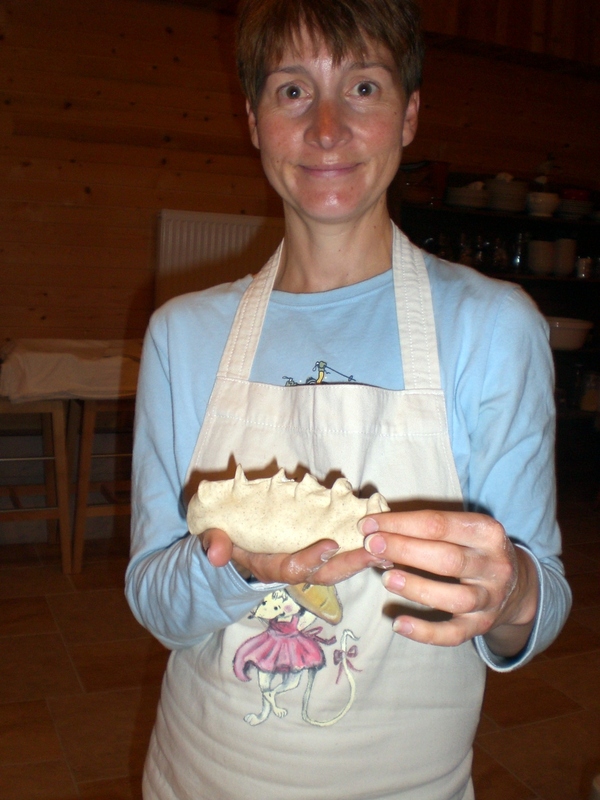 As with krapi, there are numerous variations and ways of filling, shaping and serving them. In both cases, the shape and filling used varies from region to region, town to town, and even from village to village. We made three fillings for the krapi; curd cheese, polenta, garlic, parsley; dried pear, fried onions, polenta; curd cheese, fried onions, millet; and another filling for the štruklji; curd cheese, sour cream. Whilst they were cooking, we also prepared a mushroom sauce and some other toppings, prepared a salad to enjoy with our meal and, once everything was ready, it was time to sit down to enjoy the fruits of our labour over a sociable dinner and a glass of wine (not for me I hasten to add since I was driving!). « When opportunities come a knocking….. Thanks Vesna! I’m glad you enjoyed reading it as much as I enjoyed eating them! The contestants in the UK’s ‘Great British Bake-off’ could have learnt a thing or to from this – they prepared Potica last week with varying results. They should have gone to Slovenia to learn from the masters! Well there is a potica workshop in the pipeline too so perhaps I’ll be writing about that in the not too distant future and you’ll be able to see the results of my efforts! Thank you Adele for such detailed description, and I am very pleased, that you enjoyed it 🙂 I can see that you really like krapi, as you said. Were they on your table yet – made by you of course? I must admit that I haven’t made them yet at home! Although I enjoy cooking, I don’t have so much motivation to cook just for myself, that’s why the workshop was great! Thanks for the information Elizabeta. I hope to see you there!